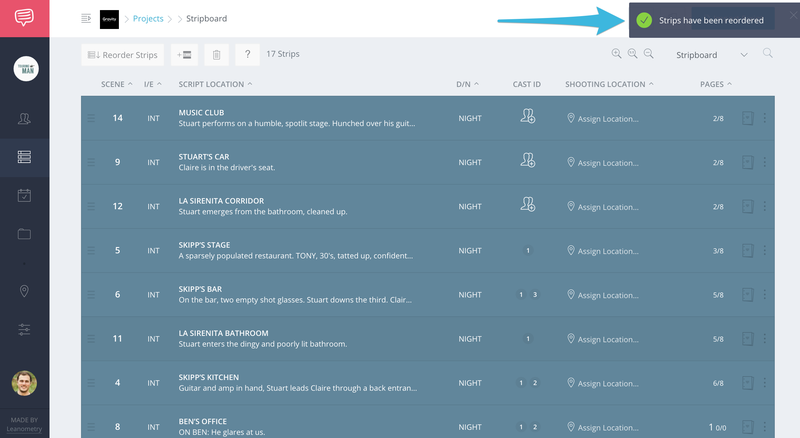 Find out how to easily reorder your scene strips on your stripboard. 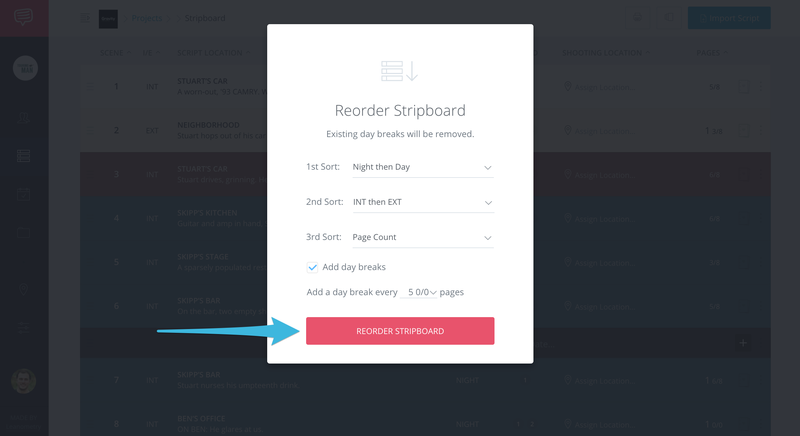 On your Stripboard page, click Reorder Strips. 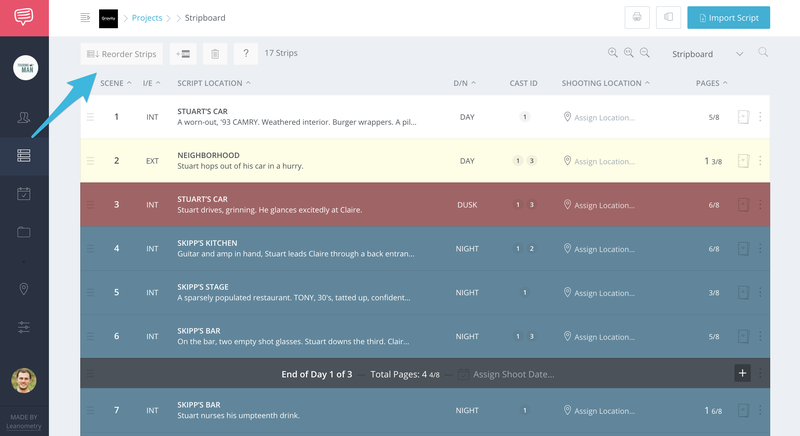 In the pop-up, select your sorting criteria and click Reorder Stripboard. After reordering your stripboard, a confirmation will appear on the page.